When you have been injured due to the actions of another, you have a legal right to financial compensation that will pay for your medical expenses, your lost wages and other damages. 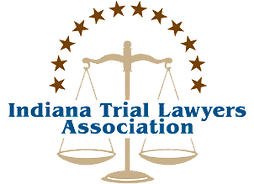 The Fort Wayne, Indiana, law office of Geisleman & Brown, LLP brings more than 40 years of combined experience including extensive jury trial experience. Please call our law firm to get reliable answers to questions about personal injury and learn how an attorney can help you. The use of this website for communication with the firm or any individual member of the firm does not establish an attorney-client relationship. Confidential or time-sensitive information should not be sent through this website. As well as Allen County, DeKalb County, Noble County, Whitley County, Adams County, Kosciusko County, Huntington County, Wells County, Steuben County and LaGrange County, Indiana. Located on the Southeast corner of Harrison and Wayne Streets in downtown Fort Wayne. There is metered street parking as well as an open parking lot nearby. We are on the main level of the Harrison Place office building and easily accessible if you are required to use crutches, a walker or wheelchair.